Good water science is critical for wise water decisions. The OBWB is committed to supporting practical water science by providing information that supports sustainable decision-making about our limited and shared water resources – at all levels of government, and for all water stakeholders in the Okanagan. 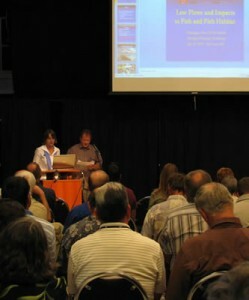 Okanagan Water Supply & Demand project website, including Future Scenarios. A simple web-based system designed to help utilities and large water users regularly record water use. Learn more about the BC Water Use Reporting Centre. No one knows exactly what the future will bring. Local governments – faced with long-term decisions for infrastructure and development – need to know reasonably-likely outcomes. The valley’s overall water balance was assessed in 2010, and in 2012, the impacts of climate change and population growth were further explored. All climate models show increased risk of floods and droughts, but population growth is expected to have the biggest impact on water demand over the next 25 years. 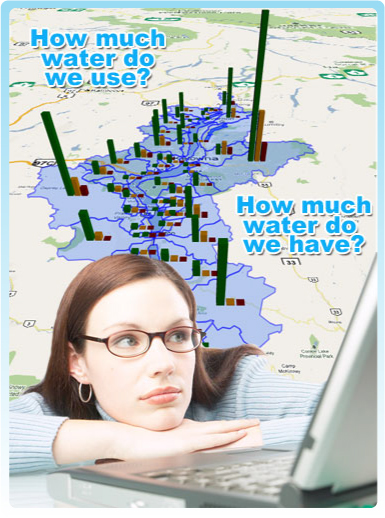 Learn more by visiting the Water Supply and Demand project website.